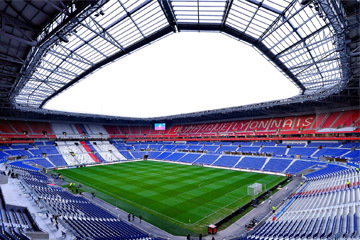 Lyon play in the Ligue 1 division in the French league. 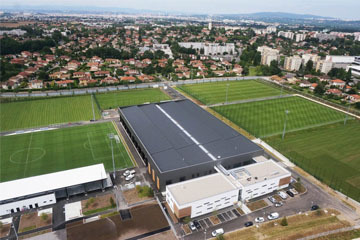 One of the most popular clubs in France who have competed in the Champions League on more than 11 occasions since forming as a club in 1950. Initially the club where formed as a multisport club which was originally found in 1896. Lyon, is now known as an UNESCO World Heritage site, Lyon has 2000 years of history imprinted on its streets. Originating as Lugdunum under the Roman Empire, it evolved into a centre of silk production and later a Haussman-style industrial city. Travel through the ages with stops at the Roman theatres and Temple of Cybele on Fourvière Hill, the 19th-century Basilica of Fourvière and the cathedral Primatiale St-Jean. With notable sausage, poultry and other specialties, Lyon makes a delicious base for exploring the Rhone region.